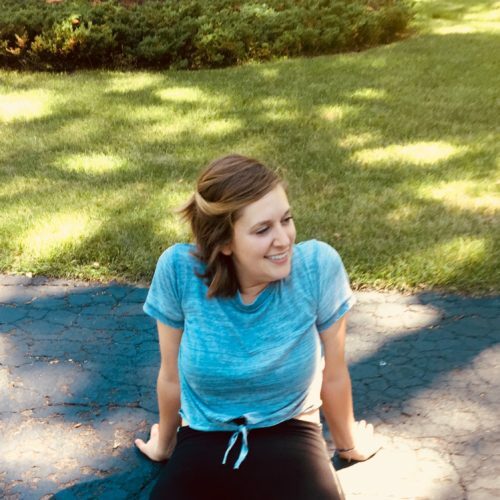 Annie has been a part of our team since June 2018. She recently moved back from New York City where she worked at MilkBar for 6 years. We are lucky to have her industry expertise on our team! 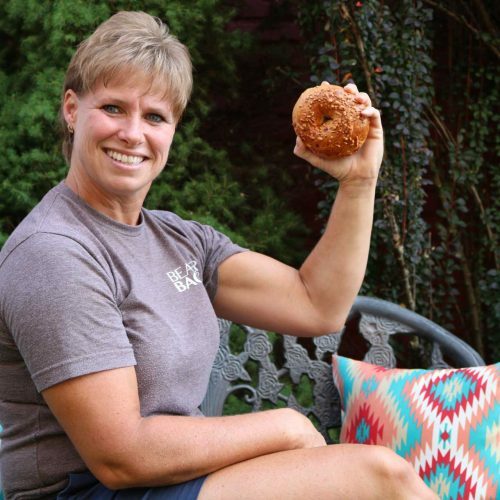 When shes not bageling, you can find her working on her own business, Hillrun Bakery (check it out! ), or spending time with her family, especially her adorable nephew, Winston! 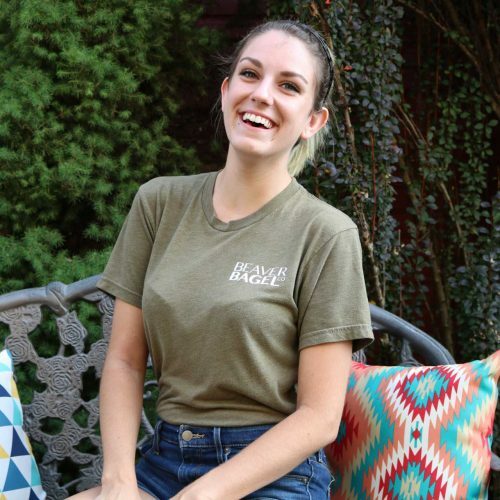 Born and raised in Beaver, PA, Jessica is a graduate of Kent State University and Le Cordon Bleu Pastry Arts Program. Her pastry experience includes The Biltmore Estate and The French Broad Chocolate Lounge in Asheville, North Carolina. 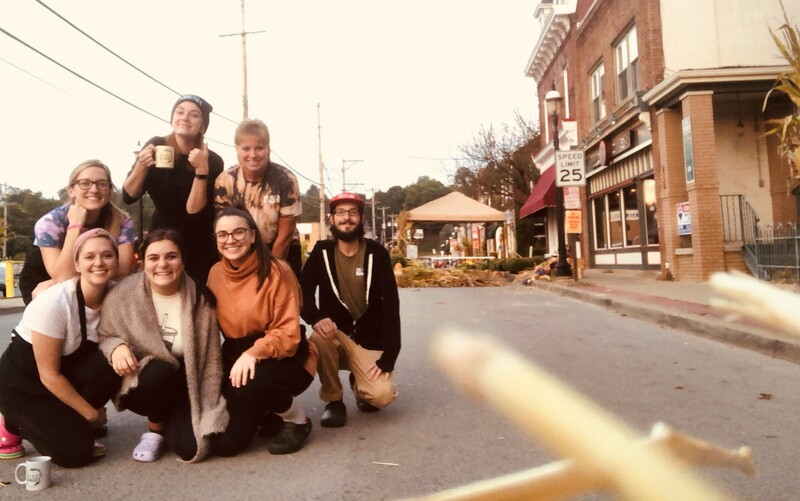 She started Beaver Bagel in 2015 in the basement of her parents home making bagels for the local farmers market. 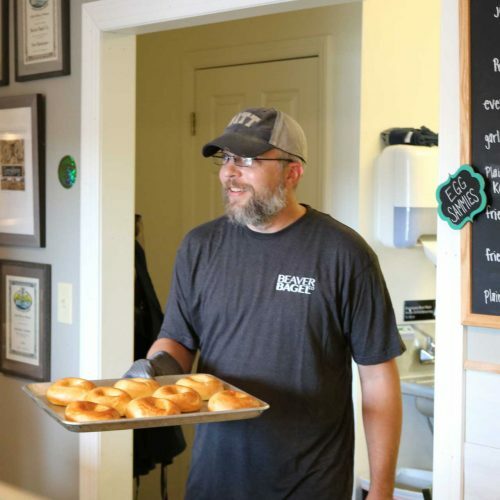 After a well received first year at the farmers market, she stumbled upon a small shop in the Bridgewater borough of Beaver and opened the Beaver Bagel storefront in April 2016. When shes not at the shop she is spending time with her husband, Shoe, puppy, Pico, and the rest of her amazing family! Sam has been with us since August 2016. You can find her at the shop most days singing and dancing while toasting up bagels and shmearing cream cheese. Outside of work, she’s probably hanging out with her boyfriend, Andrew, snuggling a puppy or spending time with her super cute nieces! 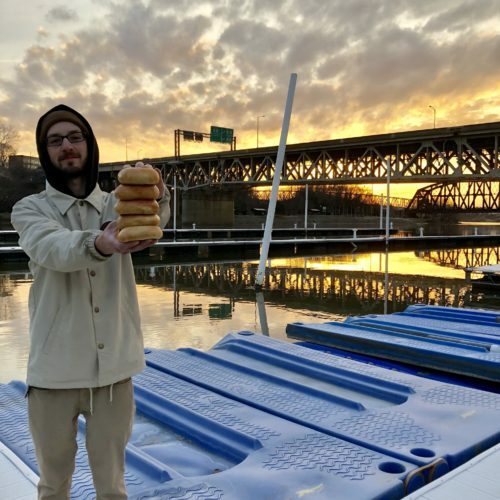 Dan drives all the way from Youngstown, OH to work in the bagel kitchen. When he’s not making bagels, he’s spending time with his wife, Maggie, and beautiful daughters Shelby, and Emily. Brenda is the bagel shop wonder woman. 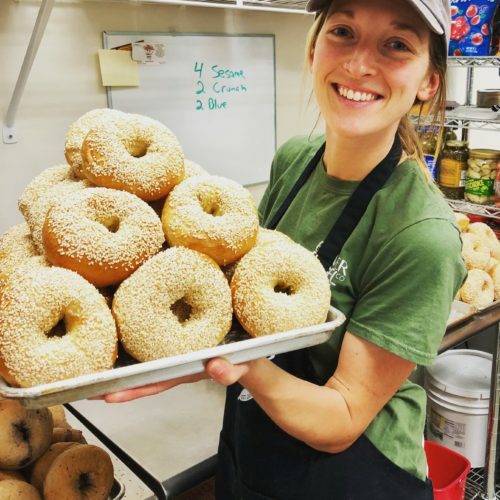 She has a part in making the bagels each week as well as making sandwiches, dog treats, granola and more! When she is not bageling, she spends her time at Daman’s strength training 5 days a week, babysitting, watching the Pittsburgh Penguins with a glass of wine in hand, or hanging with her husband Heath, daughters Brittany and Alexis, and super handsome grandson, Dontae! 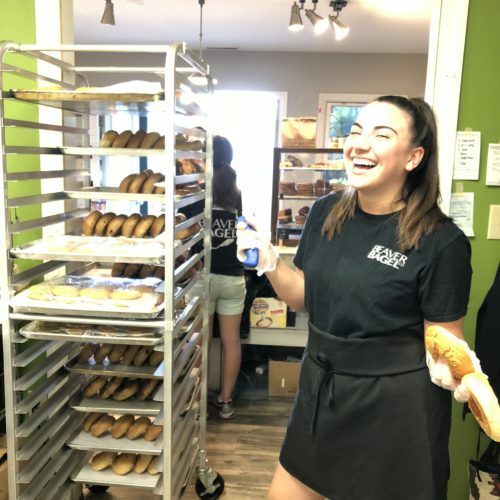 Adri has been with us since the bagel shop opened in 2015. 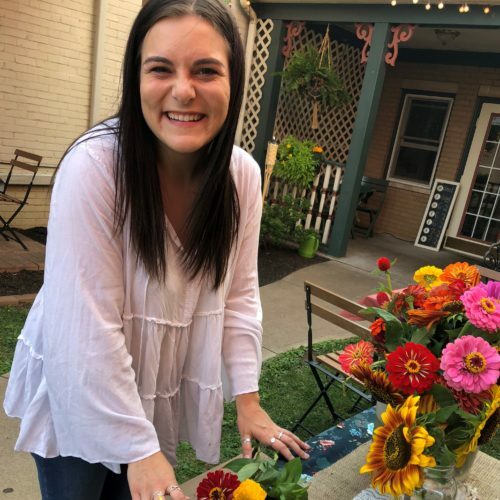 She is a recent graduate of John Carol University where she studied exercise science and biology and was the president of her sorority, Kappa Alpha Theta. She is attending graduate school at the University of Pittsburgh for Public Health. When shes not bageling or at school, you can find her hanging with her pup Tyce, cooking dinner for her family, exploring different restaurants/shops around the Pittsburgh area and plotting to save the world one day! Bronte is a recent graduate of Kent State University where she studied vocal performance. Sometimes you can catch Bronte singing in the courtyard on weekends. She is an extremely talented vocalist and opera singer and has performed with The Center Theatre Players in multiple rolls such as Morticia Adams, Lady of the Lake, Eve/Yona, and Kitty. Bronte plans on pursuing a career as a professional vocalist! We’re lucky to have her as a singing bageler in the meantime! When she isn’t at the shop you can find her snuggling with her dog Rocco!